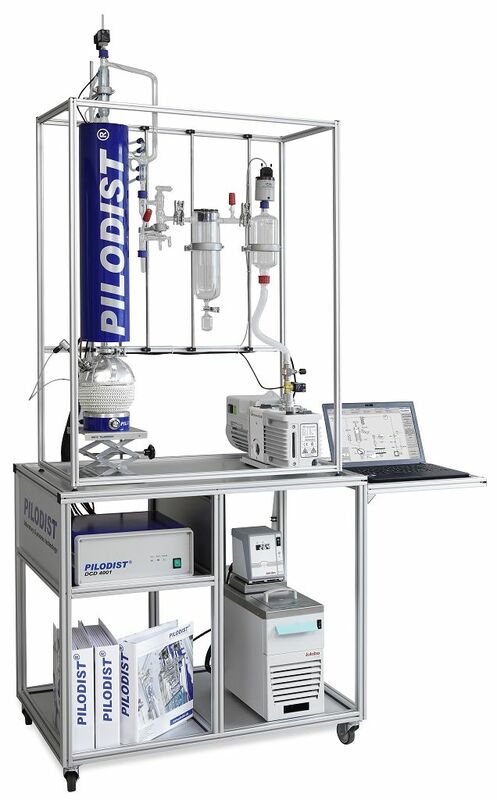 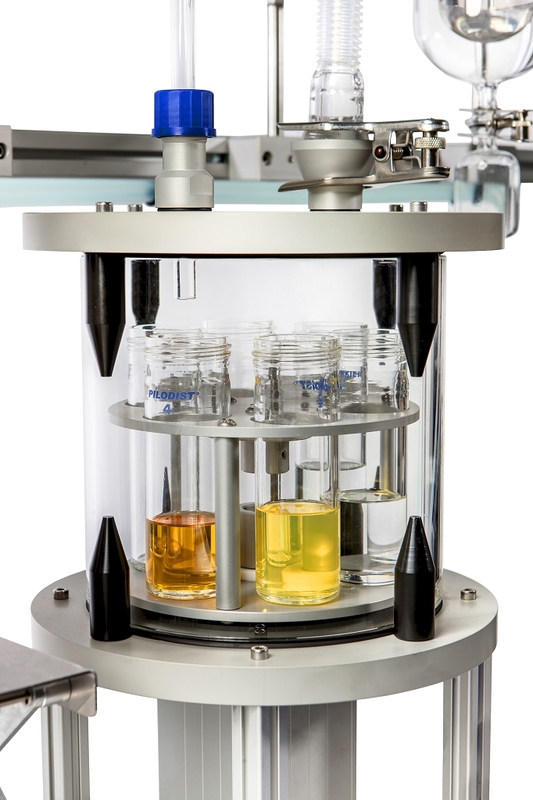 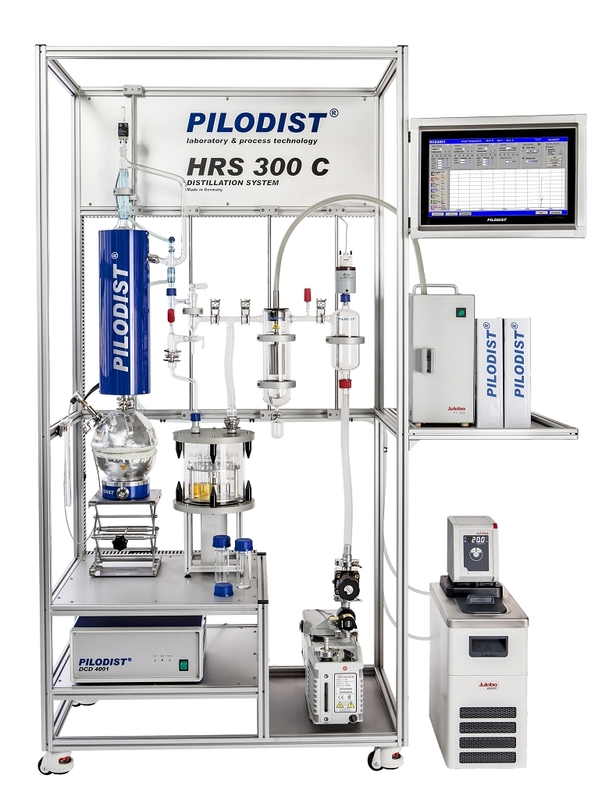 Especially versatile unit with highest separation efficiency and up-to-date processor control with most modern IP 65 PILODIST touchscreen monitor, mobile framework and automatic fraction collector. 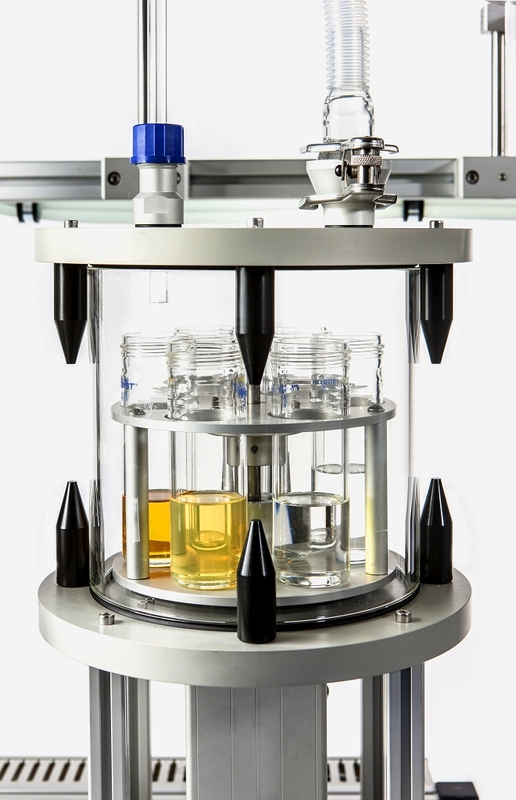 The separation efficiency in the concentric-tube-column is based on the physical principle of the mass transfer between vertically rising vapour and the spirally trickling film of liquid in a concentric annular gap made of glass. 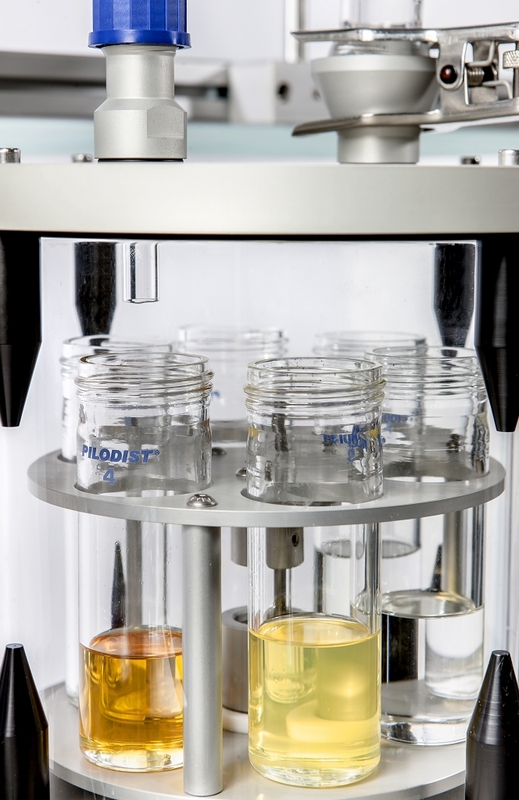 The column consists of two concentrically melted-in, especially selected and calibrated glass tubes.